Recently, a Meatheads burger joint opened up just down the street from my house. As a method of celebrating my first driver’s license and to say farewell to the pair of Lithuanians that had stayed with us through the week, we decided to go get some lunch. 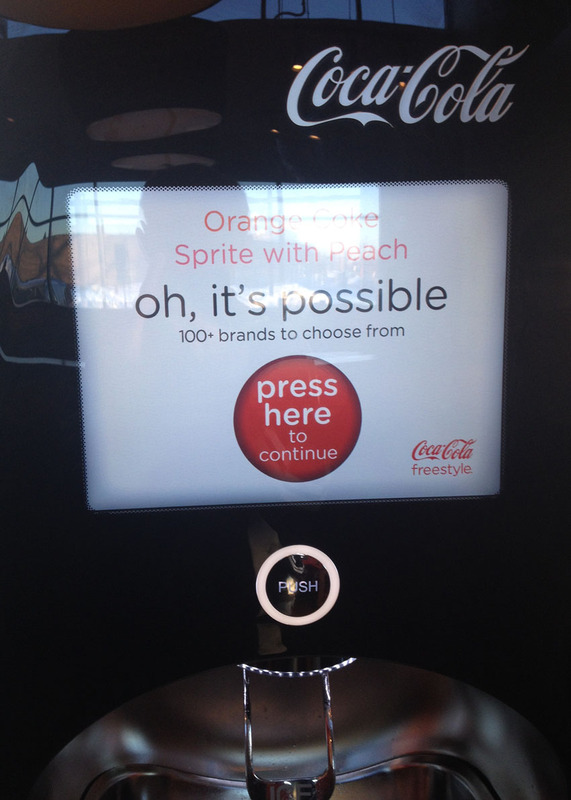 While there, I noticed a pair of those snazzy new Coke machines, the kind that let you pick a multitude of flavors and mix it with various popular beverages. My brother reminded me that we had found the admin panel on a previous visit, so we decided to look for it again. The dispenser appears to have some sort of touch screen (resistive? capacitive?) that’s something of a pain to actually use. Acessing the admin panel is pretty straightforward. All you have to do is select the water icon/bubble, place five fingers around it on the screen, and then mash it until a loading box appears. From that screen you can see the current levels of the various syrups that make up the myriad drinks available. You can’t really do much with the screen, since the actual access panels (Admin, Technician, Supplier I believe) are locked with a password. But it’s certainly fun doing some harmless sneaking about. Here’s a video of it being done.